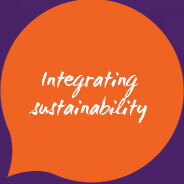 Purple Ivy is where communication and management of sustainability intersect. Eight billion people on the planet by 2025. Couple this with the impacts of climate change, increasing resource scarcity and an interconnected world. It’s a daunting equation—but one that also can present huge opportunities. To meet the future, and rethink the value your business brings, you need to be on the cutting edge of sustainable solutions. This calls for a bold and innovative approach, where sustainability shines through your business strategy and culture. Here’s where we can help. By leveraging our sustainability know-how, communications savvy, leadership development and management systems expertise and training skills, Purple Ivy will help you future-proof your business strategy and integrate sustainability in company culture and corporate vision. Purple Ivy and our network of experts offer deep experience, complementary skills and a fresh perspective. We are a team of seasoned sustainability, management system, leadership development, communications and training experts. Here's the story behind our name. Eva turns business-as-usual on its head to find innovative ways of working. With over 20 years’ experience in leadership, risk management and effective management systems, Eva is a creative driver who enjoys challenging organizations and individuals to develop and grow. Business and process analysis, workshops, risk analysis, coaching, facilitation and development of processes to support a systematic approach are the tools of her trade. Astrid knows how to help companies align with changing expectations. Anchored in the global sustainability agenda for more than two decades, Astrid has been advising leading companies to raise awareness of sustainability, integrate it into brand, strategy and organization. Materiality assessments, reporting and communication are among the skills she brings to the table. Sergio has a curious, analytical mind and many years of hands-on experience designing, executing and evaluating the impact of corporate social responsibility programs. He is a confident project leader skilled at using target setting, roadmaps and frameworks to operationalize ideas through engaging teams around common goals. Trained as an actor and improviser, Sergio approaches every assignment with creativity, energy and enthusiasm. He is currently working on a Ph.D. in social sustainability on the topic of hybrid business models and strategic partnerships. Grounded in a natural science background, Maria comes into every room with a lot of questions and energy. Maria seeks to light the spark in others, especially regarding their roles in projects, their personal purposes, and their connections to sustainability goals as a whole. Her strengths lie in reporting, strategy building, and analysing social and environmental impacts with a holistic perspective. Aakash has a multi-disciplinary educational background with a bachelor's in chemical engineering, and a master's in environmental studies and sustainability science. He has an active interest and demonstrated work in behavioural economics, human behaviour and psychology relevant to sustainable consumption. Martin is an award-winning journalist and editor. He is an expert on communicating sustainability crisply, clearly, bringing complex issues down to earth. Martin has written for UK’s Green Futures magazine, The Guardian, The Times, Newsweek, New Scientist and The Times of India and broadcast on BBC. He has chaired corporate sustainability events in London, New York, Delhi and Beijing. He is an experienced horizon scanner, and brings a futurist's eye to emerging trends. He delights in helping others acquire and apply these skills. Our product offering is designed to help you grow your IVY. We’ll support you in creating an organisation defined by its Innovative culture, Visionary Business, one that reflects Your role in changing times. How will our changing world redefine your business landscape? We’ll give your strategy a future focus, understanding how societal, environmental and economic changes affect your business. With our four drivers as our starting point, we’ll pinpoint consequences, risks and opportunities. Our solution: An inclusive approach with workshops and tailored research. Why are you in business and how are you making a difference? Together, we’ll weave your story. Through an engagement platform, we’ll channel your employees’ energy towards a shared Purpose. Your core values, corporate culture. future challenges and value creation story are our threads. Our solution: Tailored engagement program of workshops, analysis, copy and roll-out. 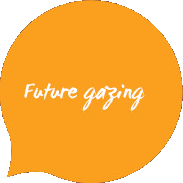 How well is your organization equipped to meet the future? We’ll identify gaps between what’s required to be resilient and your current management systems and capabilities. We analyze your sustainability strategy and how deeply it’s integrated and review policies and processes. Our solution: Gap analysis, risk and business opportunity screening. YOUR ROLE IN CHANGING TIMES. What non-financial issues are most relevant to your company’s ability to create value? Our systematic process will help you track issues most important for your business, right along the value chain and year on year. Crucial to strategy work, management systems and sustainability communication, our approach is aligned with GRI, <IR> and ISO. Our solution: A six-step process with tools, desktop research, interviews, and workshops. How can you shape your business to be a driver of long-term value creation? Being sustainable means integration from the top down. We’ll engage your leadership team and change agents in how to integrate sustainability into your strategic plan in a way that builds trust, creates lasting value and engages others. Our solution: We’ll help you identify goals and indicators, maps ambitions, assess risks and address gaps. How can corporate reports be used to tell your value creation story vividly, your progress transparently and in the right context? We’ll leverage compelling storytelling, long-term thinking with credible performance reporting. 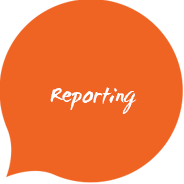 With long experience with GRI and Integrated reporting guidelines, our team has delivered award-winning reports for some of Sweden’s top reporters. Our solution: A full-service offering. Advisory services. English and Swedish copy. Design. How can you shape your organization to be tuned in to new thinking? We will help you structure your organization to optimize innovation, increase flexibility and meet new challenges, by finding the right balance between structure and culture. We´ll develop the methods, new thinking in a concrete, visual and accessible way. Our solution: A tailored set of tools to visualize the journey, training, and coaching. 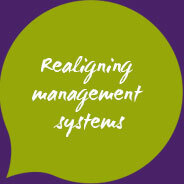 Does your management system meet your raised level of ambition? ISO is placing greater emphasis on risk, context, engagement and change management; all to give you a broader, more future-focused approach to quality, environment and work environment. Our aim: develop a system aligned with how your business is evolving. Our solution: A flexible process-based approach with gap analysis, training and coaching. How can you develop and nurture change agents in your organisation? By making your company’s sustainability ambitions tangible for employees, you are inspiring others to contribute and raising your employer brand in the process. We’ll help you set up an engagement program that will empower your organisation to deliver on goals and create change. 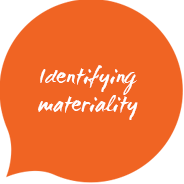 A forward-looking materiality process is the key to identifying strategic priorities, tracking impacts, and communicating and engaging others in the sustainability agenda. Find out more about Purple IVY's six-step process and access our online tool here. From management systems, gap analysis, reporting to engagement programs, throughout the years, members of our team have had the pleasure of supporting companies in growing their IVY. Here’s what they’re saying about our input. In a professional manner and with positive energy, they have helped us raise the bar by implementing continuous improvement thinking and visualization in our business development program. Purple Ivy supported us in the formal certification (ISO9001 and ISO14001) of our lean visual management system. Thanks to the deep knowledge, they enabled us to achieve certification without compromising our lean innovation values and practices. – Stefan Widing, General Manager of ASSA ABLOY Shared Technologies. We developed the strategic direction for Clas Ohlson’s sustainability work and the framework for our reporting together with Purple Ivy. I’ve appreciated their insight and experience, their level of commitment and their ability to challenge and drive our work forward, but at a pace that was feasible for us. We warmly recommend Purple Ivy as an advisor and partner. Our Purpose is Electrolux’ commitment to 'make a positive everyday difference in people’s lives and for our planet'. In 2013, we rolled out a series of workshops to introduce the Purpose to employees group-wide, engaging them in conversation on how we can make a positive difference and to inspire a personal commitment to it. Helping to drive the project from brainstorming to roll-out, the team contributed to designing the program, creating the workshop tools and guidance. Huge relied on Purple Ivy services and they succeeded in creating an environmental management system that all employees felt secure in, and proud of. Nobody was nervous when the actual certification audit was carried out. 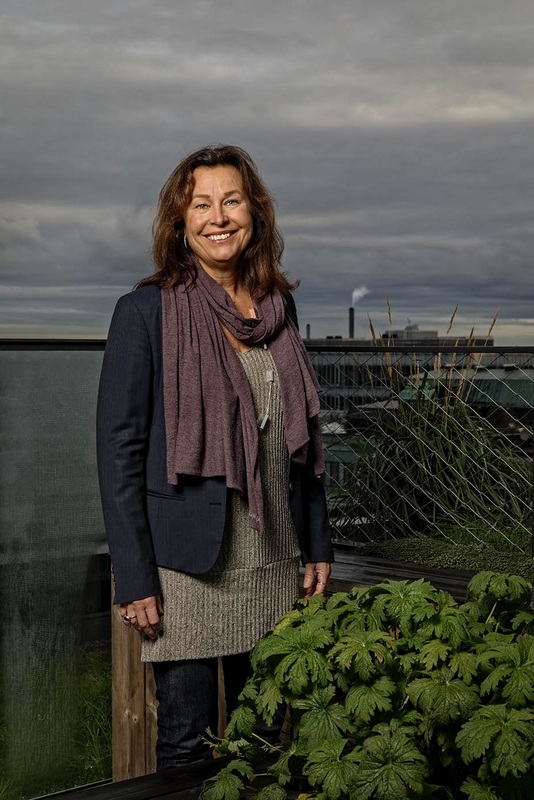 – Ann Lindkvist, Environmental strategist, Huge Fastigheter. Purple Ivy supported Misa in finding structure in our process-based management system. We are very pleased with the end result; it’s straightforward and effective. – Gita Olsson, Vice President, Misa. Purple Ivy has been an eye-opener for us in our striving to develop our sustainability work. They led us through coaching, support, and providing inspiration from the world around us, while always keeping a sharp focus on us and our operations. That helped us ensure that we felt a strong ownership of the end result! – Helena Söderqvist, Head of Operations, Operations and management of services, Landstinget Sörmland. The team is among the leaders in the industry on a European level. They have demonstrated good insights into Scania, our current situation and our aspirations. We also appreciate how they identified areas where we need to strengthen and reinforce our communication and our messaging. Astrid and her team has provided rock solid support in a strategic project on sustainable transport at Scania. With a high levels of competence, availability and service mindedness, she has been a positive force, always on the quest for finding solutions. The world is changing rapidly and with it, the business landscape. Climate change, limits to growth, an interconnected world and shifting demographics. These four drivers – or disruptors – are shaping our future, how our society is structured, the dynamics of your market and people’s expectations. Understanding their implications will help you capture new opportunities and reduce business risks. Here are just a few examples of how they might impact your market. Energy efficiency: Will growing demands on efficiency give you the edge on your competitors? Renewable energy: How will renewable options make you less sensitive to rising operational costs? Transport: How dependent is your supply chain on carbon-intensive transport? Trust and integrity: Will concern about climate change impact stakeholders’ trust in the future of your business model? Economic volatility: How will financial markets be impacted by society’s dependency on fossil fuels? Changing legislation: How will evolving energy legislation impact your products? Urbanisation: How will exponential growth of people living in cities impact your product innovation? Aging populations: Will an aging European workforce impact your access to competence? Diversity: Is your workforce diverse enough to be in tune with new markets and changing demographics? Rising middle class: Is your product offering lean enough to meet growing needs of the emerging middle class efficiently? Economic inequality: Can strategic partnerships help you contribute to bridging the gap between rich and poor? Circular economy: What opportunities will recycled material bring to your product design? Sharing economy: Can leasing options be a springboard into new markets? Access to raw materials: Will fluctuating costs of--and access to--raw materials change your supply chain? Energy, food and water nexus: Will the tug-of-war for energy, food and water impact your customers’ quality of life? Land use: How does your value chain impact issues such as deforestation and bio-diversity? Chemicals: Can you stay a step ahead of legislation; replacing potentially hazardous chemicals with more sustainable options? Trust and integrity: How susceptible is your brand reputation to stakeholders’ changing world view? Consumer empowerment: How will increased transparency on your sustainability impacts influence consumer choice? Ethics & integrity: What upstream and downstream risks exist along your value chain for unethical conduct? Economic volatility: To what degree is your business resilient to an increasingly erratic market? Strategic partnerships: What opportunities are emerging to engage stakeholders in a common striving for change? Increasing legislation: Will increasing legislation globally on transparency, anti-corruption, and human rights change the way you work? Human rights: To what degree do you have access to information on Tier 2 and Tier 3 suppliers and their human rights impacts? Breakthrough technologies: Will nano-technologies, bio-mimicry and other breakthrough technologies transform your industry? or visit us at Birger Jarlsgatan 2, 114 34 Stockholm. Tel: +46 8-505 65 100. Our name explains it all. As the color of good judgment, imagination, and inclusiveness, purple conveys energy and balance, and the courage to remove obstacles in your path: the ingredients of sustainability leadership. Innovative culture, Visionary business and Your role in changing times. Three intertwined, essential branches that define your company’s future. Together, they make your organization strong.